With so much to think about when it comes to kitchen design, many feel compelled to concentrate on the bigger items, such as cabinetry style, flooring and appliances. But, the finishing touches in a kitchen can make all the difference to the design, and chosen carefully can bring the real wow-factor you are looking for. With our experience behind your kitchen project you can be sure that every last detail will be planned and executed with the utmost attention and care. 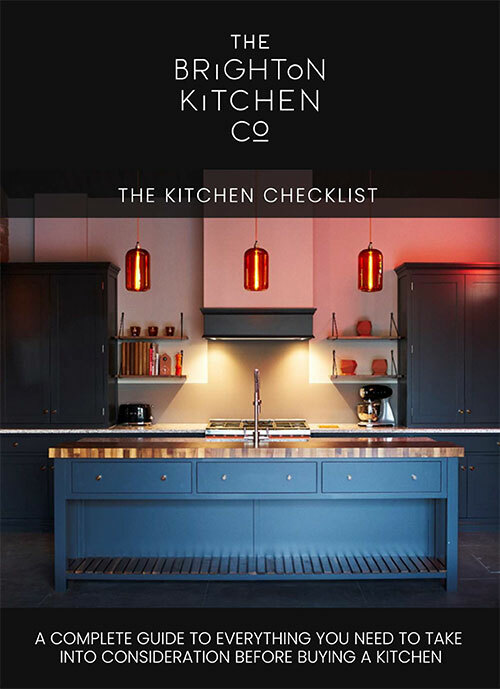 At The Brighton Kitchen Company we are meticulous about everything that goes into our bespoke kitchens, and that includes the finish. 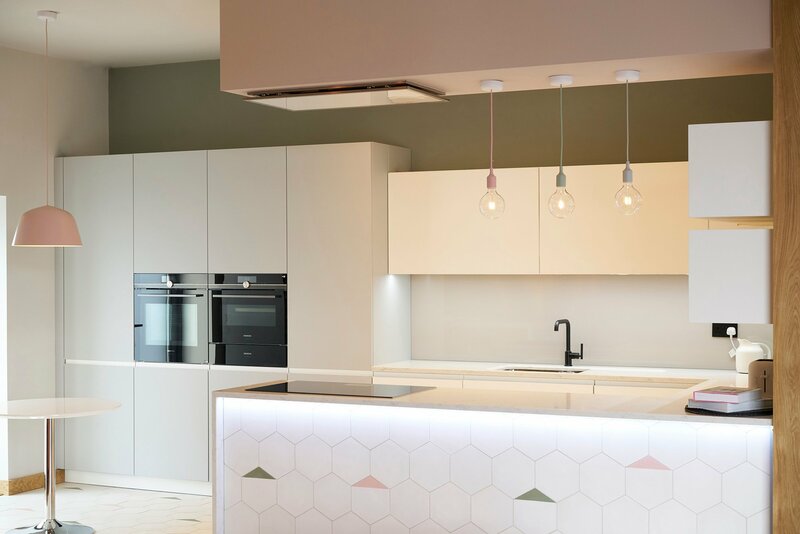 During our design process we will work with you to ensure everything you want from your new kitchen, including all of the finer details, are exactly as you want them to be. Once we understand your vision, we’ll put together a CAD presentation, so you can see your ideas start to take form. We’ll share our experience with you to make sure everything from storage ideas and cabinet handles, to paint finishes come together to create the kitchen of your dreams. 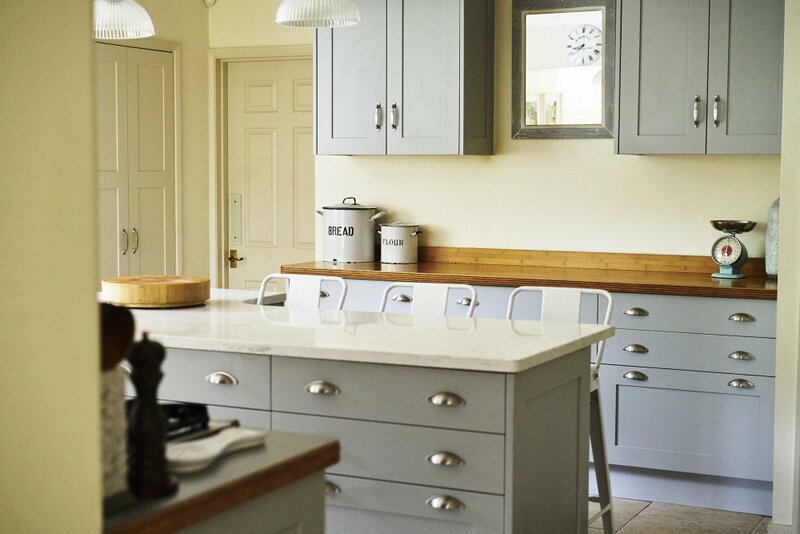 We leave no stone unturned when it comes to choosing a paint finish to suit you, your kitchen and your home. We can colour match to your favourite kitchen accessories, or choose a paint finish that reflects a certain style. Or perhaps you already have a colour scheme in the home you would like to extend to your new kitchen? 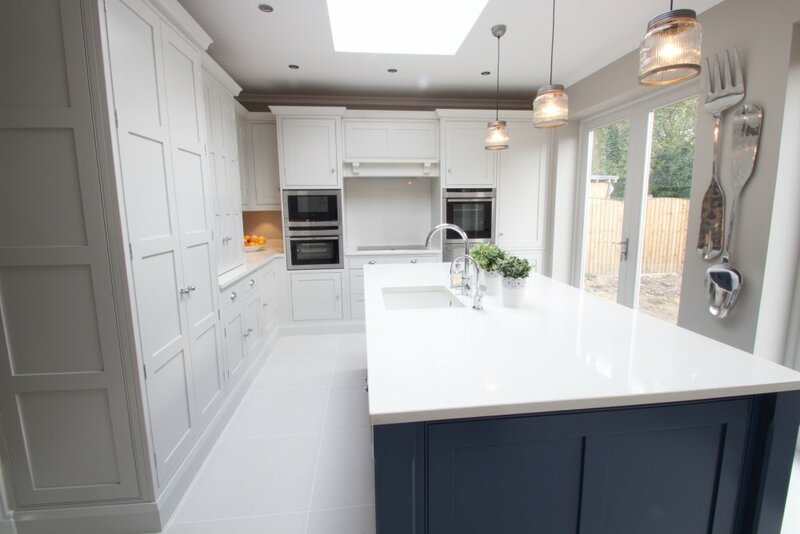 Whatever your style preferences, we’ll come up with a selection of suitable paint finishes you can choose to put the icing on your kitchen cake, as it were. Whether you love bold or muted colours, gloss or matt finishes, we’ll hone down exactly the right shade of paint to turn your kitchen into a stunning vista. Certain kitchen styles work brilliantly with a high gloss finish. If a sleek, modern look is what you are going for, then you will definitely want to consider this as a finishing option. Due to its light-reflective qualities, a gloss finish is perfect for smaller spaces or for kitchen areas devoid of much natural light. Gloss surfaces bounce light around a room and can make a smaller space feel much roomier. In bigger kitchens, a gloss finish works equally well and can make the space feel contemporary, yet very grand. In a range of contemporary and heritage paint colours, our super matt finish is great for creating a deep velvety look. The even colouring achieved with a matt finish means your cabinetry will look at its best from any angle. Kitchens with our super matt finish are sophisticated, smooth and exude refined luxury. We believe in making attractive kitchen spaces that are a pleasure to use. Our super matt finish is perfect for creating distinct smooth blocks. With matt finishes on trend, we’re not surprised that our super matt finish is so popular. On a practical note, matt finishes are durable and more resistant to fingerprint marks, so are a great choice for busy family homes. Want to know more about our kitchen finishes? Call us on 01444 881018 to speak with one of our expert designers, or come and see us at our brand new showroom based in Hickstead just off the A23. See directions and opening times here.